Traveler's coming East or West take I-182. North and Southbound will use US 395 to I-182. 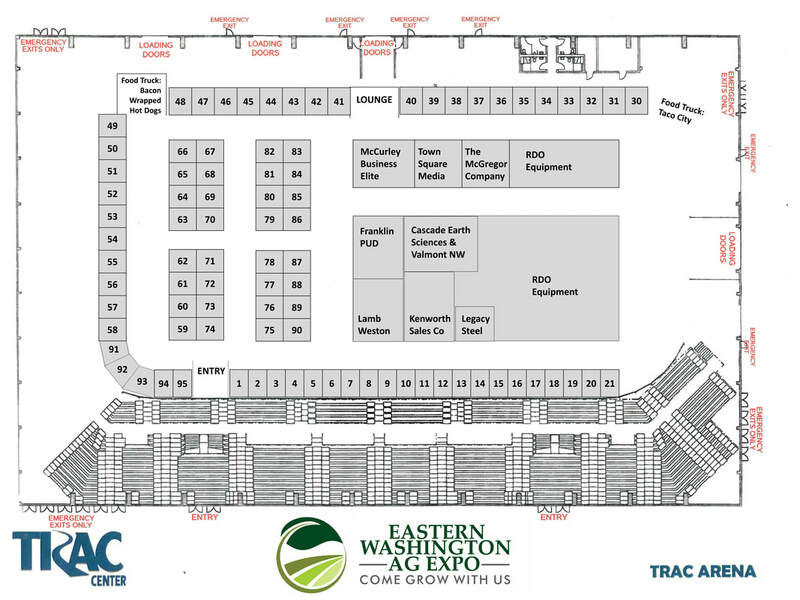 This year for the 2019 Eastern WA Ag Expo, we are excited to move the expo to the arena side of the TRAC Center. The arena was recently paved over, and no longer has a dirt floor. This newly upgraded space offers more room and allows us to have the food trucks indoors. No more standing in lines outside in the cold to get your lunch. This also allows us to host our monthly luncheon over in the Expo Hall at the same time as the Ag Expo is going. We look forward to seeing you all the TRAC Center on January 8-9!